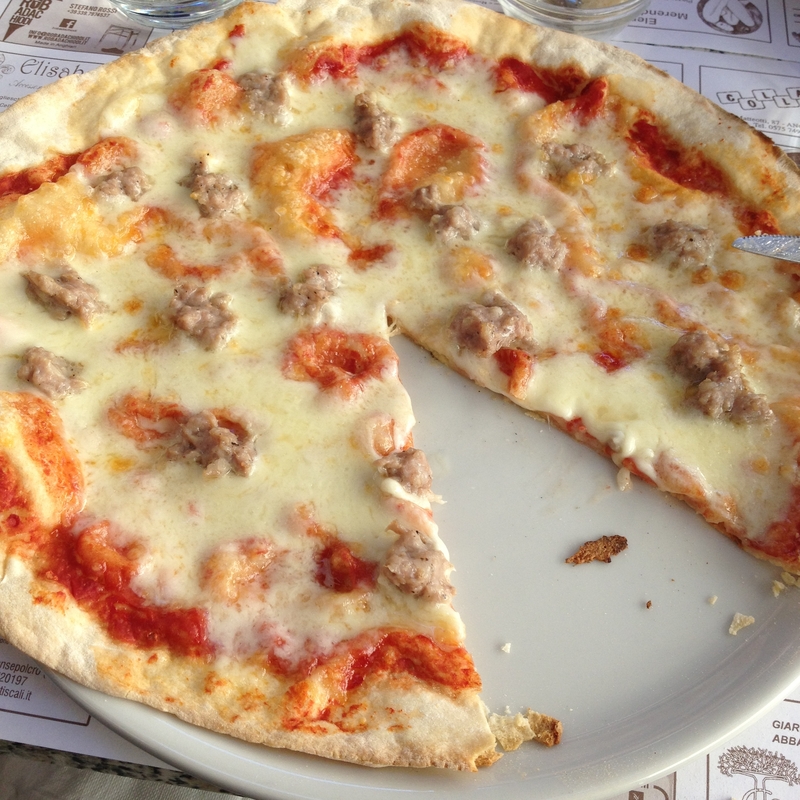 Pizza, Pasta and Gelato – We Must be in Italy! | Sprezzatura, Y'all! We have returned to Italy. We just left in June, but it’s a new season and we just had to come back. There’s a definite change in the air from the still, hot days of June. It’s crisp and windy – not breezy, but full out windy. The kind of wind that howls outside the windows and almost knocks you down as you turn a corner. Wind that signifies a new season on its way so if you haven’t stocked up on your firewood, you’d better hurry. We got here on Monday. The trip was great – no problems, no issues, no missed connections, no delays. But for some reason, we both suffered from jet lag like we haven’t had in many years. I blame mine on my shoes. Stay with me here – there’s logic in this. I bought a new pair of shoes that I thought would be perfect. So I wore them on the plane. You know how much walking you do in the airport, and we were in three of them – Atlanta, Rome and Florence. While the shoes are extremely comfortable, they don’t have enough arch support and that is critical for me. My feet and legs feel very weary and I haven’t had that feeling since we first started traveling internationally. It makes your whole body feel fatigued and that is the essence of jet lag. Thank goodness I brought my trusty tennis shoes, the sure sign I’m an American tourist. But at this point I don’t care. I’m pretty sure no one would mistake me for Italian anyway. We took the train from Florence to Arezzo and Michelangelo picked us up from the train station. It was nice not to have to take the bus and then have to schelp our luggage through town. We went straight to the rental car place and picked up our car. After a uniquely long Italian wait (what is it about Italians and paperwork? They really have transformed the simplest of tasks into a complex series of steps that involve making multiple copies, stapling lots of paper, and saying “allora” several times.) we got our car and headed straight for the gelato place. 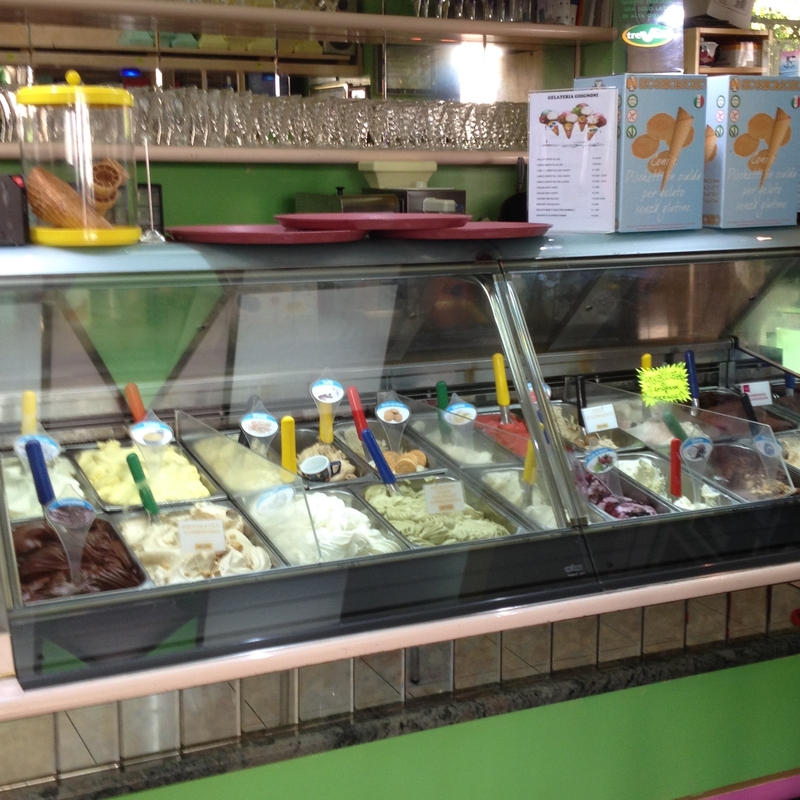 As luck would have it, the rental car place is across the street from the Gelato King. That’s what we call him. He wins the annual gelato competition every year and travels the world attending events and making his award winning gelato for all manner of celebrities. And it was right there across from the rental car place. If that’s not a good sign I don’t know what is. It’s good stuff and it made us so very happy. We drove to Anghari in a dreamy, gelato haze and dragged our bags up the ancient steps to the apartment. After unpacking, showering and having prosecco on the balcony, we went to dinner. We realized that we really hadn’t eaten since lunch in Atlanta on Sunday, some 25 hours earlier. We were hungry and we ate like the king and queen that we are. We went to the Ristorante Alighieri. It’s owned by a German woman, who is the chef, and her Italian husband, who is the waiter/maitre’d. And their lab puppy who keeps an eye on things. It’s never been one of our favorites, even though the food is always good. There’s something about a German cooking Italian food that we find a little strange, and the Italian husband is a little scary. Like he might just as easily punch you in the face as take your order. But they were open and it was windy out and they were close by. We had a lovely meal. We started with ricotta with honey, then shared a pasta – bringoli with porcini mushrooms – then some very thinly sliced roast beef. And a nice bottle of Chianti. A well-needed and very appreciated meal. Then we fell into bed and drifted off to sleep listening to the sounds of the autumn wind. Tuesday we were still a little jet lagged feeling. We slept l ate and a had a very easy day. We went to Sansepolcro and walked around, then to the Famila, our favorite grocery store. We needed just a few provisions. Then back home just in time for pizza on the piazza. It was just as good as I remembered and was such a wonderful thing for lunch. A nice, long nap in the afternoon and then another gelato. Not from the Gelato King, but from the Bar Teatro in Anghiari. It’s very good. Not the best of the best, but very good. Dinner Tuesday night was at Michelangelo’s and Rossella’s. We had dinner with them several times when we were here in June with Hunter, our grandson. Once when we were there, Michelangelo had been trimming his olive trees and Hunter asked if he could take some of the wood back. So we smuggled it into the US and Hunter proceeded to make a gorgeous chef’s knife for Rossella and a beautiful pen for Michelangelo. He also wrote them a beautiful note of thanks. They were so touched by the special gesture and we couldn’t have been more proud of our incredible grandson. We stayed up talking and catching up and solving a few pressing international problems and then fell asleep again to the wind blowing outside our ancient apartment. 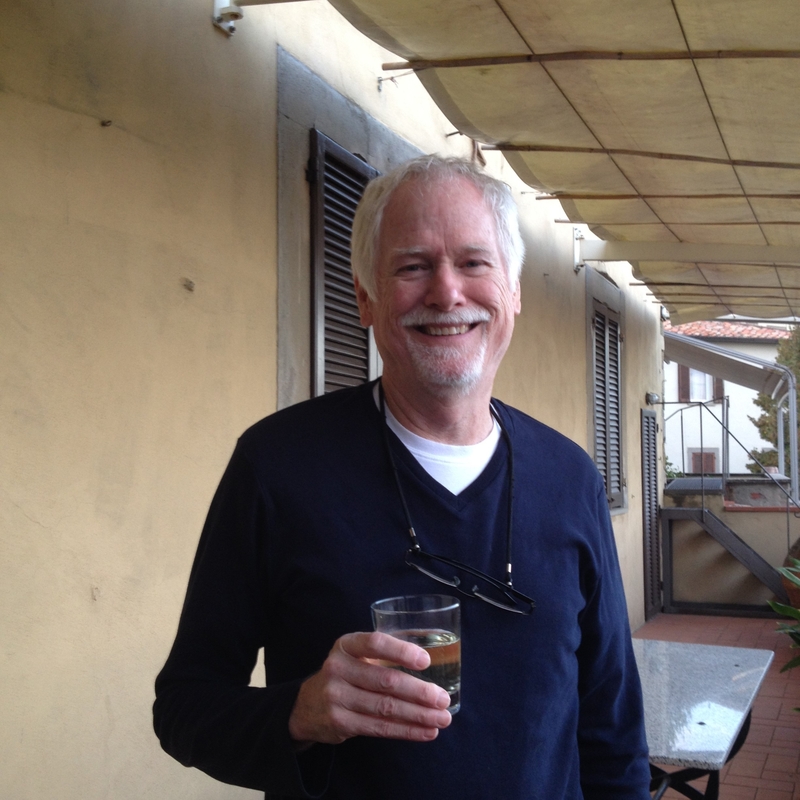 Life is good here in Anghiari. Ciao Bella! Millie sends kisses.